Global Water Rights welcomes a new partner, Lha Charitable Trust, based in Dharamshala, India. Lha Charitable Trust provides social services to thousands of Tibetan refugees and also operates the Clean Water Project which to date has provided clean, filtered , safe water systems to over 30 schools and hundreds of children. They also operate a soup kitchen which provides meals and clean water to refugees. The Central Tibetan Administration currently faces a huge task in meeting the needs of this ever- growing refugee population, and coupled with limited resources and funding, is challenged to provide services at the many dispersed settlement sites. One of the most fundamental requirements of the refugee community, like every community which hopes to prosper, is a reliable source of safe drinking water. Here in Dharamshala the Lha Charitable Trust has implemented a Clean Water Project to help address this most basic need of the Tibetan refugees. On July 6th, 2011, Lha opened its Community Soup Kitchen at its new building, Ahimsa House. The opening of the kitchen commemorated the 76th birthday of His Holiness the Dalai Lama. The day was celebrated with a healthy lunch cooked at the kitchen and fresh water from the newly installed water filtration system. This is the first soup kitchen in Dharamsala that serves low-cost and nutritious meals to the Tibetan refugee community. 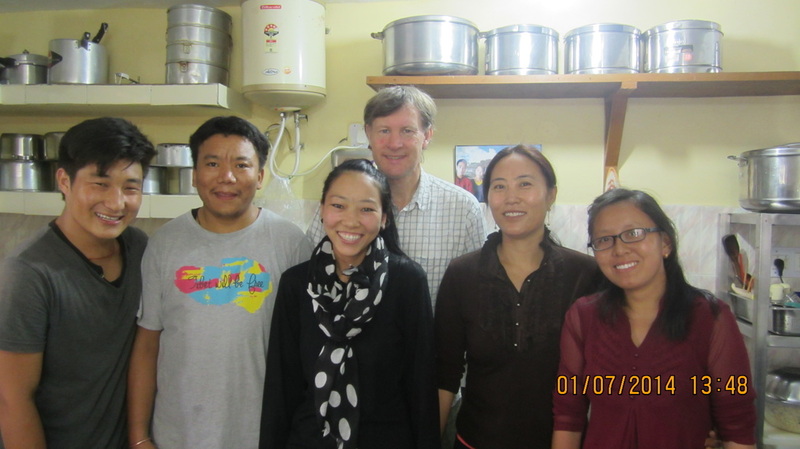 Global Water Rights Co-Founder Dr. Ross Michael Pink with Managers and Kitchen Staff of the Soup Kitchen.